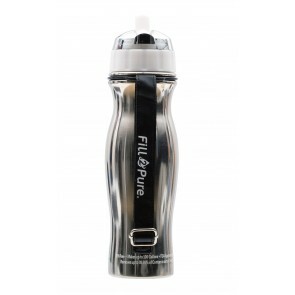 Fill2Pure is the original stainless steel water filter bottle. 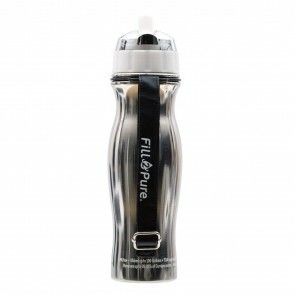 Made from 304 (18/8) Food Grade Stainless Steel and BPA-free non-leaching plastic lid and filter casing. 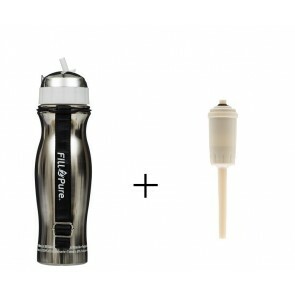 There are 3 Filter Types to choose from: Regular, Extreme and pH Alkalising. Each filter is available in either White or Pink.